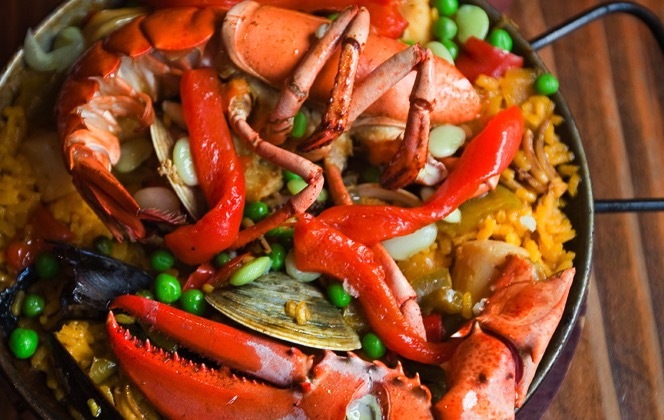 Sensational Paella Catering Company brings New England the most authentic Spanish Paella! 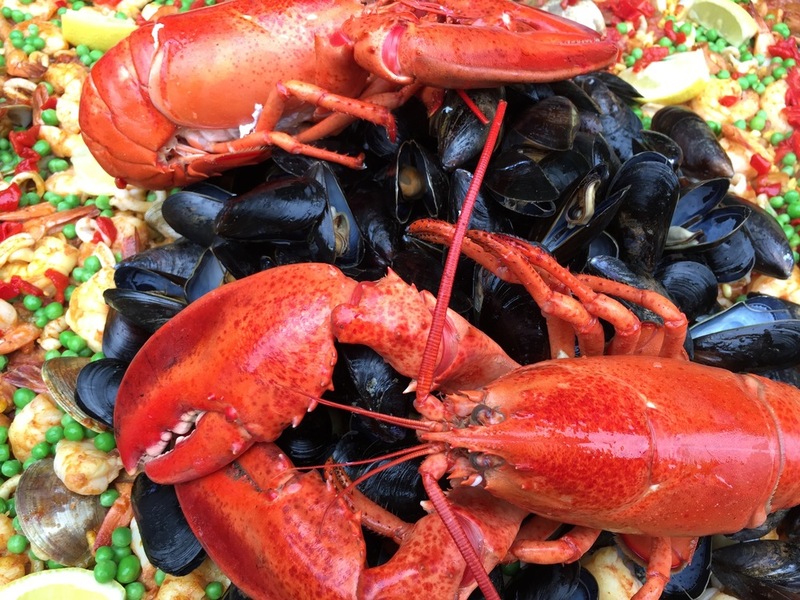 Sensational Paella Catering Company specializes in bringing you an authentic and unforgettable culinary experience that will have everyone raving (and thanking you) at the end of your event! So how does it work? We arrive at your destination armed with positive energy and radiant smiles. We may just throw in a few hugs for good measure. We then settle into your back yard and set up our outdoor kitchen with authentic paella grills and pans, tables neatly organized for our cooking needs, and a buffet table neatly decorated with tablecloths on which we will place the appetizers and paella(s) for your event. If your event is in the evening and you’re feeling adventurous, we set up ambiance lights to make it festive and colorful. Nobody likes complete silence at an event so we bring our Spanish and Flamenco music which we play while cooking your delicious paella. Did we mention dancing is encouraged and welcomed? And then it’s show time- the paella is garnished and served for your family and friends. Coupled with a glass of wine or chilled sangria, your guests are sure to feel as though they’ve just been transported to Spain for a few hours! Your event will be a unique experience that will have everyone Facebooking, Instagramming and Tweeting for days! Click on menu word below to see all menu options. Prices are per person. Our most popular! Chicken, Spanish chorizo, jumbo shrimp, calamari, little neck clams, mussels, white fish, cooked in a lobster, chicken and white wine stock, and on a bed of saffron Bomba or Calasparra rice. Beautifully garnished with a lobster or two on a bed of PEI mussels, chopped parsley, piquillo peppers, and lemon wedges. For the seafood lover! Jumbo shrimp, calamari, little neck clams, mussels, minced clams, white fish, cooked in a lobster and white wine stock, and on a bed of saffron Bomba or Calasparra rice. Beautifully garnished with a lobster (or two), piquillo peppers and lemon wedges. For the meat lover! Chicken, pork rib, pork belly, and Spanish chorizo, cooked in a chicken, pork and red wine stock, and on a bed of saffron Bomba or Calasparra rice. Beautifully garnished with piquillo peppers and lemon wedges. Simple and tasty! Chicken, jumbo shrimp and Spanish chorizo, cooked in a chicken, shrimp and white wine stock, and on a bed of saffron Bomba or Calasparra rice. Beautifully garnished with piquillo peppers and lemon wedges. For the Spanish food lover! Jumbo shrimp, chicken, pork rib, and Spanish chorizo, cooked in a shrimp and chicken stock, and on a bed of saffron Bomba or Calasparra rice. Topped with Cuban favorites such as fried plantains, black beans and fried pork belly. Beautifully garnished with chopped cilantro, lemon and lime wedges and sweet piquillo peppers. It’s revolutionary! A vegetable delight! Fresh mushrooms, artichokes, green beans, red/green peppers, garbanzo beans, sweet peas, zucchini, asparagus, and eggplant, cooked in a vegetable and white wine stock, and on a bed of saffron Bomba or Calasparra rice. Beautifully garnished with piquillo peppers and lemon wedges. In addition to the above menu items we can add lobster, scallops, crab claws, or aged chorizo to any paella for an additional price. You may also build your own Paella with all of your favorite vegetables, meats and seafood. Please inquire when requesting a quote. Chorizo, Jamon Serrano, Cabernet salami, Manchego, brie, Havarti or Gouda, international olives, cornichons, Spanish corn nuts, Marcona almonds, hummus, roasted piquillo peppers, roasted garlic, grapes or berries, membrillo, dried apricots, fig jam, dijon mustard, and served with rustic bread and assorted crackers. Chorizo, Jamon Serrano, Cabernet salami, Manchego, Havarti or brie, international olives, cornichons, Spanish corn nuts, roasted piquillo peppers, roasted garlic, fig jam, dijon mustard, and served with rustic bread and assorted crackers. Chorizo, Cabernet salami, Manchego, Gouda, roasted piquillo peppers, hummus, membrillo, international olives, grapes, and served with rustic bread and assorted crackers. Jumbo shrimp, garlic infused olive oil, wine butter sauce, parsley, lime, parmesan cheese. Served with crusty baguette bread. 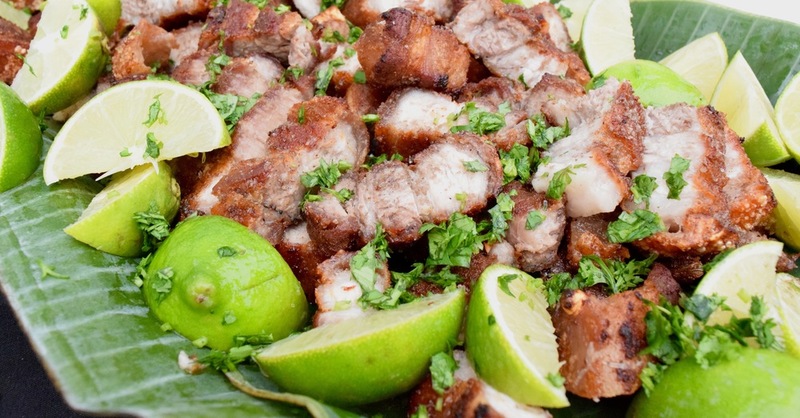 Fried pork belly, sweet paprika, smoked salt, chopped cilantro, and served with lime wedges and fig jam. Seasonal berries, grapes, international olives, variety of cheeses, assorted crackers. Spaniard Membrillo (Quince Paste), Manchego cheese, married together. Delicious! Hummus, garlic olive oil, smoked sweet paprika, and served with an abundant of colorful, fresh and seasonal vegetables. Served with pita bread slices. Spring mix, cherry tomatoes, cucumber, garbanzo beans, cranberries, feta cheese, and capers. Served with a basket of rustic breads, butter and several dressings. Spring mix, cherry tomatoes and cucumber. Served with a basket of dinner rolls, butter and several dressings. We like to keep it simple and very tasty. Strawberries, blueberries and raspberries dipped in fresh whipped cream and sprinkled with shaved dark chocolate. Our whipped cream is made on-site and infused with a hint of white Godiva chocolate liquor. A basket mixed with Chocolate Chip, Peanut Butter and Oatmeal Cookies. Additional labor charges will apply depending on the size of the event and/or if catering staff (bartenders and waitstaff) will be needed. We will be happy to provide a written catering estimate with a detailed menu and it will include all labor, rental, taxes, and transportation charges if required. Not all charges may apply depending on the size, distance and requirements for the event.